​I was born at St. Mary’s Hospital in Garden Bay, Pender Harbour in 1948 and am descended from two families of early settlers in the Pender Harbour area. I grew up around Irvines Landing and attended Irvines Landing School, Madeira Park Elementary, and Pender Harbour Secondary. I worked in logging for a number of years and then moved to Vancouver for work in 1970 but always kept ties to the area. 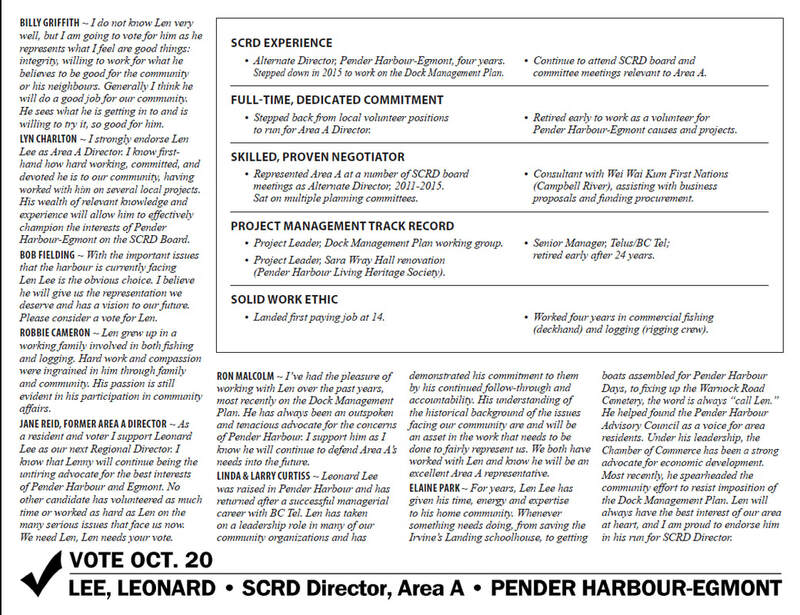 My wife Linda, my son Ryan, and I moved back to Pender Harbour full time in 2002. 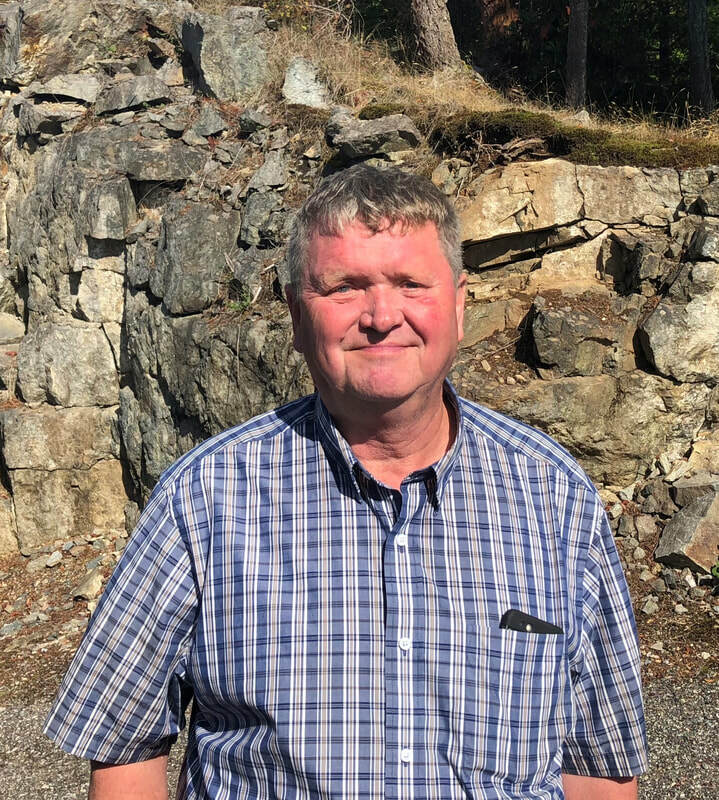 I believe it's important to preserve the independent rural lifestyle, rich heritage and unique character of the fantastic area we live in and that we must find ways to enable and encourage more young families to live and work in our Pender Harbour and area communities. I have demonstrated my commitment to these fundamental principles by volunteering to serve on multiple community-oriented, not-for-profit boards for the past number of years and will continue to work responsibly and collaboratively on the SCRD Board to achieve these goals. I was Alternate Director for Area A and served as part of the SCRD Board in this role for 4 Years (2011 to 2015). 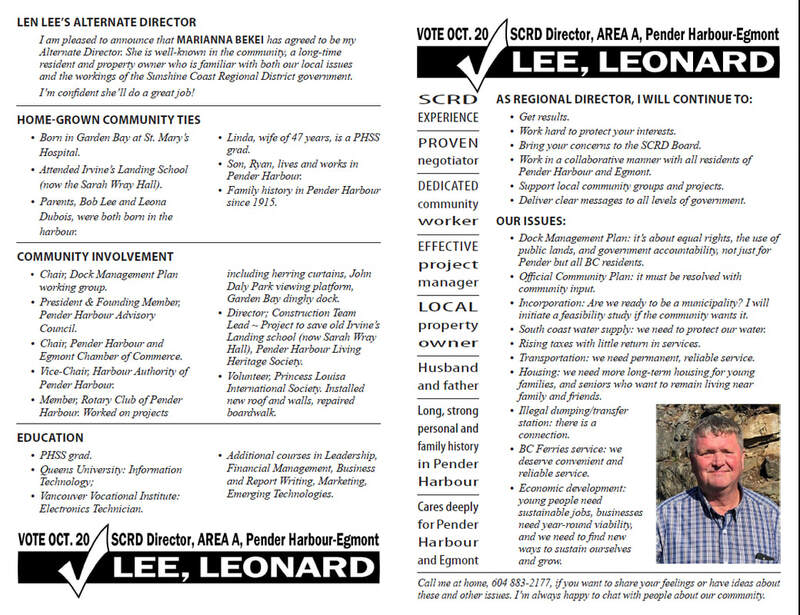 ​If you have questions about my platform or would like to discuss anything about the Pender Harbour & Egmont area, please get in touch.